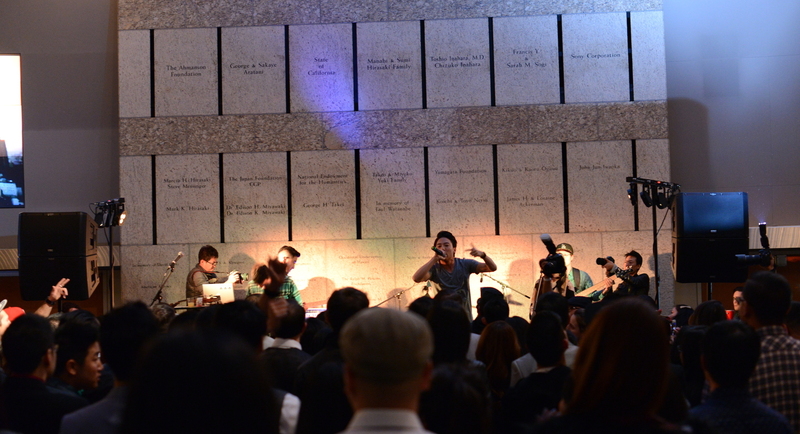 The akaDAN documentary follows Los Angeles-based musician and Korean American adoptee DANakaDAN (Dan Matthews) as he reunites with his biological family in South Korea during the summer of 2013. The documentary is full of interesting twists and turns, including the fact that Dan meets his identical twin brother that he never knew existed. This documentary was not only interesting, but engaging as it had you laughing one second, and tugging at your heart strings in the next. Two screenings held in the Tateuchi Democracy Forum on the evening of February 1st were packed to maximum capacity. As Dan explained before the screening it was actually a 4-episode feature that was being screened as an 85-minute documentary. 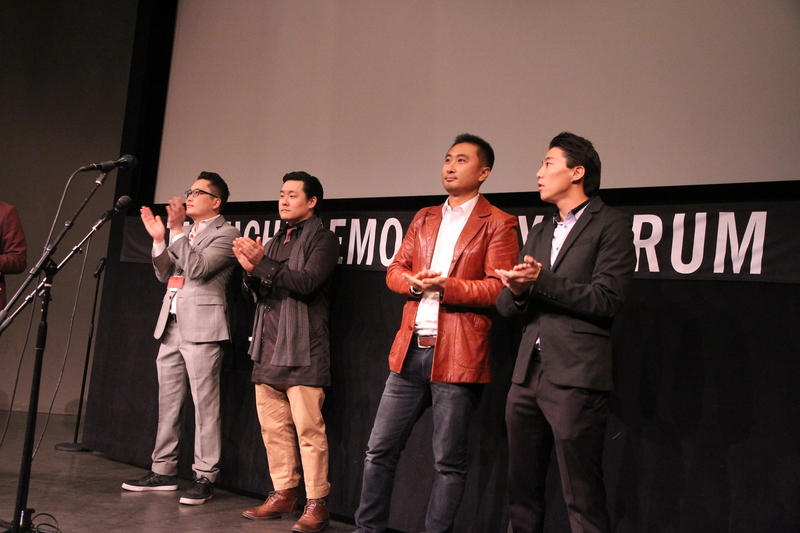 An insightful Q&A session led by Angry Asian Man blogger, Phil Yu, wrapped up each screening. Producers, filmmakers, and the cast answered a variety of questions, ranging from personal questions about Dan’s experience as an adoptee, to technical questions about production. Following the second screening was an after party in Aratani Central Hall hosted by YouTube celebrities Amy Okuda and Ki Hong Lee. First to open up the after party was Travis Graham with a couple of mellow acoustic numbers. 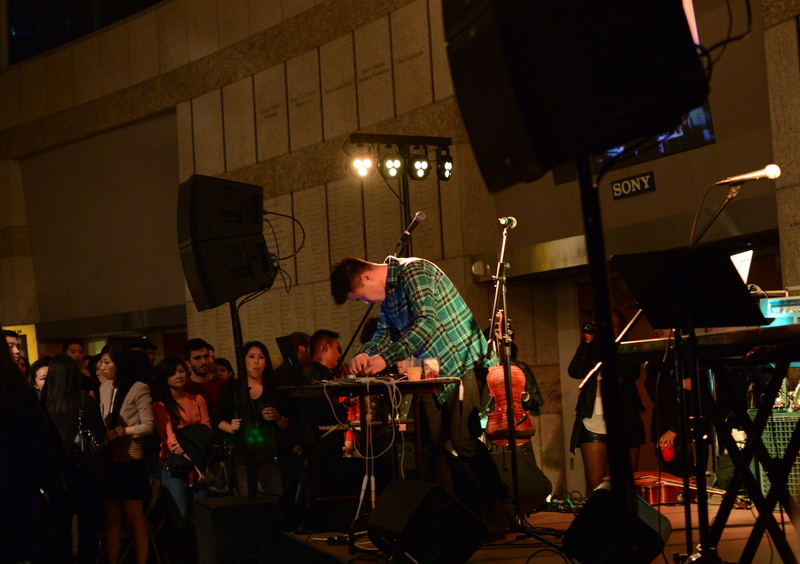 Following Graham was an exciting performance by Paul Dateh, popular for combining hip-hop with his skills on the violin. Closing out the after party was Dan, with words of gratitude, and a powerful line-up of songs from his upcoming album, Stuntman. 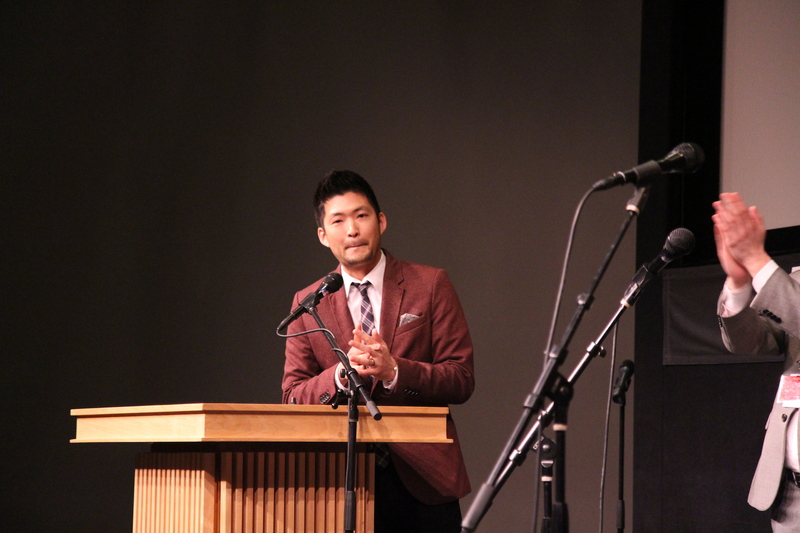 The akaDAN documentary was not only entertaining, but by sharing the story of a Korean American adoptee, it gave the audience a sense of how broad the Asian American story is. Being Asian American is a vast quilt-work of stories and experiences, and as Dan explores his story, it encourages viewers to look into their own story, whatever ethnicity they may be, and whatever background they may come from. The akaDAN documentary premiered in The Tateuchi Democracy Forum and enjoyed a full house for both screenings. Angry Asian Man blogger Phil Yu leads a Q&A session after each screening. A reception is held in the Aratani Central Hall after the first screening of the evening. Los Angeles-based artist, David Choe’s art installation was on display for this special occasion. Actor, Ki Hong Lee along with Amy Okuda hosts the after party. Travis Graham opens the after party with a couple of mellow acoustic numbers. An exciting performance by Los Angeles-based musician, Paul Dateh. Jen of “From Head to Toe,” Cassie of “Blogilates,” and Wendy of “Wendy’s Lookbook” were among the many Asian American celebrities seen at the after party! The Fung Brothers enjoy the after party with friends. Dan Matthews expresses his gratitude to his family, his friends, and everyone who made it out on Saturday night. JANM members received a special discount for this event! Sign up to be a JANM member now and support the Museum while receiving many benefits! To stay updated on all of the Museum’s public programs, please visit JANM’s events page, join our email list, like us on Facebook, and follow us on Twitter! JANM member appreciation reception in San Diego!